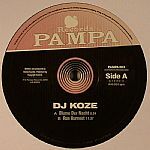 Review: Pampa offshoot Hart & Tief launched earlier in the year, via a split 12" featuring tracks by Soulphiction and Mike Denhert. 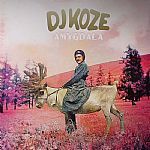 This time round, fellow German producers DJ Koze and Robag Wruhme are at the controls. 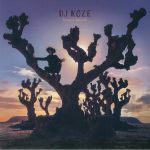 Koze kicks things off with "Driven", a clanking, booty-shaking fusion of metallic percussion hits, resonating electronics, dub techno motifs, and minimalist textures. It feels a little like a contemporary Berlin take on early '90s Sheffield "clonk" (think Sweet Exorcist's Clonk's Coming album on Warp), which is no bad thing in our book. Wruhme's "X-mop 198" is a much more straightforward, early morning techno bubbler, albeit with similarly clanking percussion hits amongst the thumping kick drums and restless, one-note riffs.